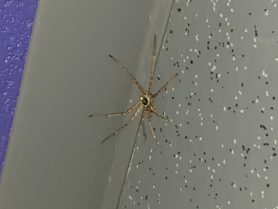 Found this spider in my bathroom by the roof. 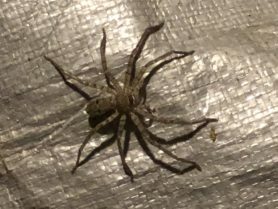 Please help in identifying it. 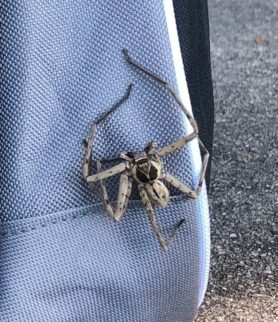 Can someone please help me identify this spider and should I be worried. 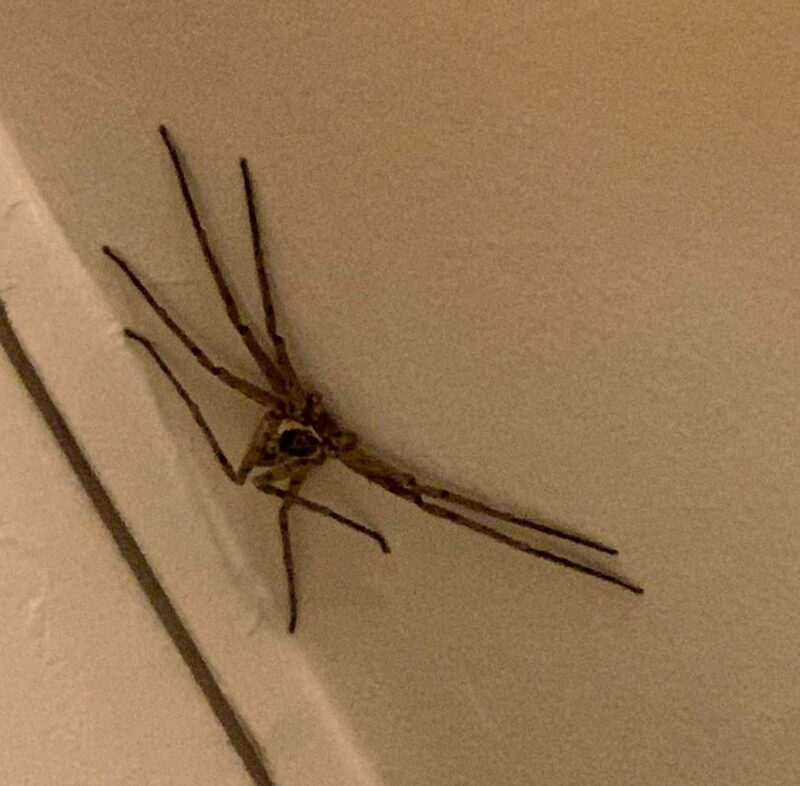 Hi, this is a Huntsman Spider, Heteropoda venatoria. They’re not considered to be of medical significance and are unlikely to bite except in self defense.